Even as winter tyres become increasingly popular here in the UK, many drivers still misunderstand exactly what they are for and why they should be fitted in a country that rarely sees snow. The truth is, winter tyres are not only designed for snow and ice. They are also grippier and therefore safer than summer tyres in all weather conditions - even in the dry - so long as the ambient temperature is lower than 7deg Celsius. There is no legal reason why you cannot use winter tyres in summer, but we certainly wouldn’t recommend it. In warm weather, winter tyres will wear out much more quickly than summer tyres, hitting you where it really hurts - the wallet. In the cornering test, the outcome was very similar. The four-wheel-drive car with summer tyres was able to generate only 0.17g of lateral acceleration - a measure of how much cornering grip a car has - whereas the front-wheel-drive car with winter tyres generated 0.23g of lateral acceleration. That might not seem like a huge amount, but what it tells us is that winter tyres generate 35% more cornering grip on snow than summer tyres. Again, that might just be the difference between avoiding an accident and having a big one. 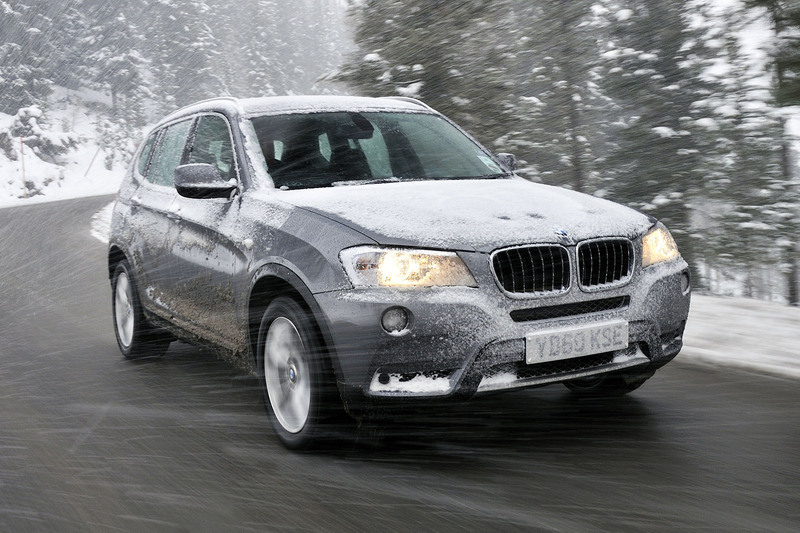 The best solution for our winter months would clearly be a four-wheel-drive car fitted with winter tyres. What our test demonstrates, though, is that a two-wheel-drive car with winter tyres is much better overall in cold weather than a 4x4 on summer tyres. A set of winter rubber for your existing car will be an awful lot cheaper than upgrading to a new off-roader, too. Can you mix summer and winter tyres? Yes. In fact, many drivers buy a set of steel wheels - which are cheaper than alloy wheels - and leave their winter tyres mounted on them year-round. 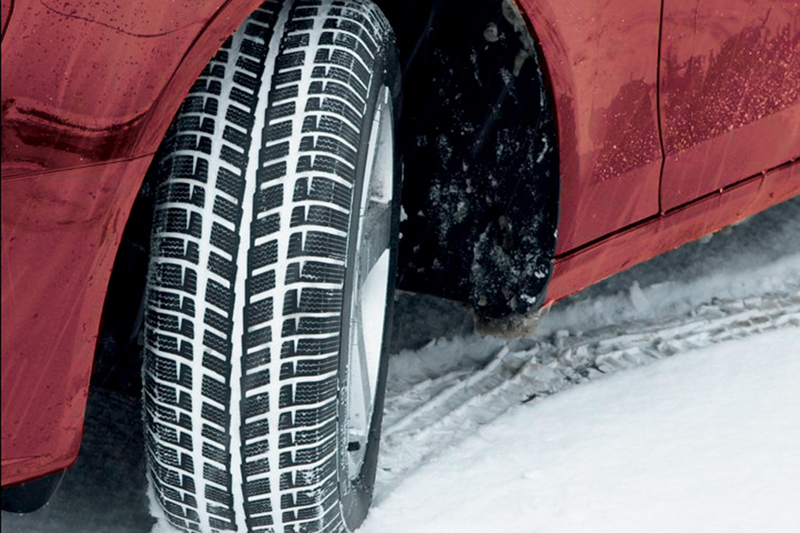 You should fit your winter tyres as soon as the ambient temperature drops consistently below 7deg Celsius. Similarly, you should remove them again once the temperature rises above that. Given that the UK winter is unpredictable - ranging from anywhere between cold and frigid to dry and mild - it’s wise to keep your winter tyres readily to hand and mounted on wheels, so that you can switch between them and your summer tyres when necessary. Are winter tyres compulsory abroad? 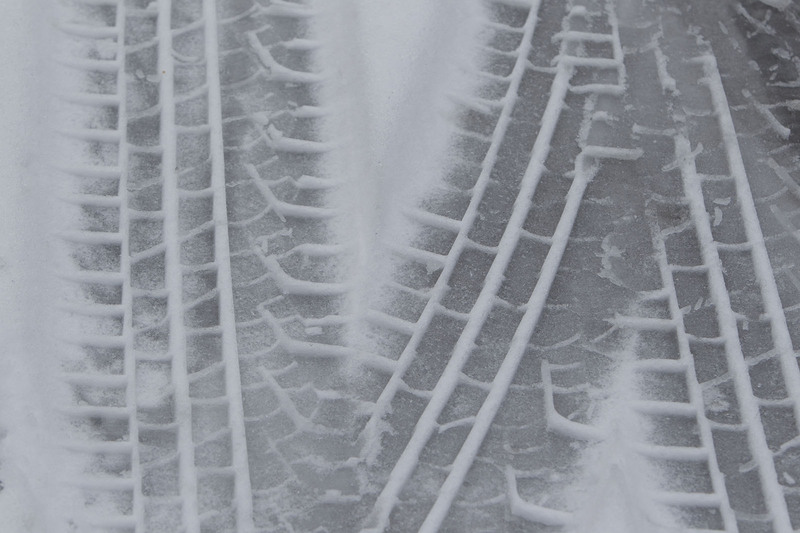 Where’s the best place to buy winter tyres? Some straightforward preparation will make your car safer to drive in slippery conditions. Remember, a small amount of money spent now could save you a very large amount of money later on - the cost of recovery, for instance, or even an expensive insurance claim. If your car's cooling system doesn't have the correct amount of antifreeze in it, you could experience a major failure, most likely in the form of a cracked radiator, when the thermometer starts falling below zero. Get an antifreeze tester from your local motor factors and check your handbook to see what the mixture should be, and what kind of antifreeze you should be using. Any local dealer or garage will be able to test it for you, if need be. If your car's battery goes flat when left for several days because of a fault or a drain caused by an alarm system, consider investing in a trickle charger to keep it topped up - or get an automotive electrician to resolve any issues. As well as making sure all your lights work properly, if you know your car's light lenses are damaged or faded, then consider picking up a decent scratch repair kit for around £14.99. Carry a set of spare bulbs in your car, too, to avoid getting caught out. 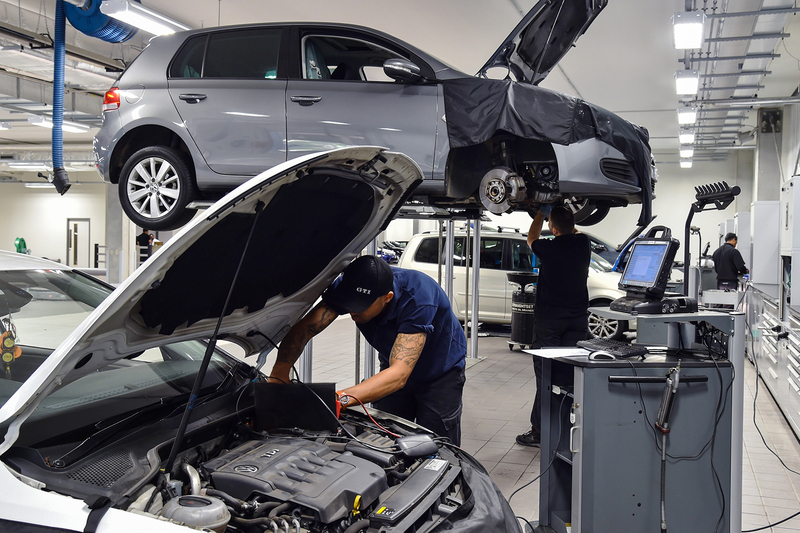 Rattles, squeals, shakes, a soft brake pedal and a noticeable increase in stopping distance are all signs that your car's braking system is in need of attention. 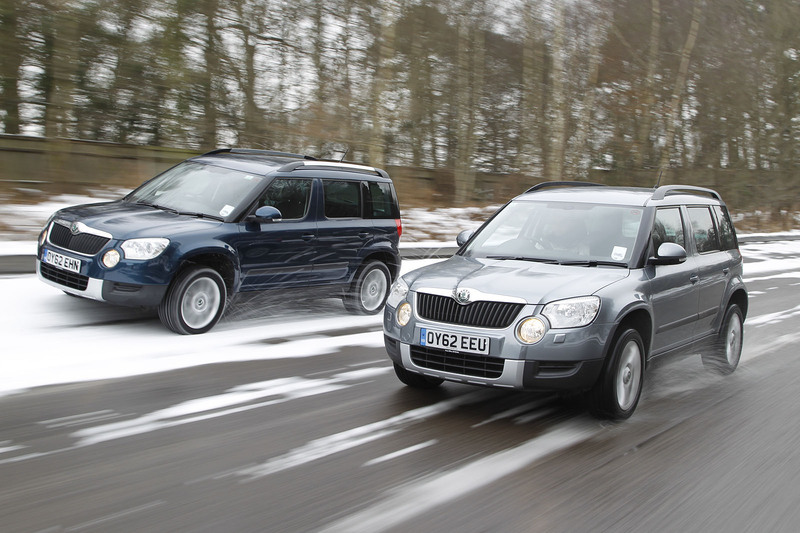 Stopping distances are vastly increased on icy or snowy roads, and worn or faulty brakes will only exacerbate them further - so it's best to get them looked at. Check them over carefully and replace them if the tread is low or if there's any sign of damage. You should also seriously consider switching to winter tyres. It's worth taking a minute to go around the car with a can of silicone lubricant as well, and spraying it in to hinges, locks and linkages. It'll stop things sticking when the temperature falls. Don't use WD-40, though, because it's not a suitable substitute for proper lubrication. It may be beneficial, if you have them, to pack a small selection of tools and spares - such as a bottle of coolant, oil and an ancillary belt. The grit laid down to help de-ice roads can cause corrosion, so treat any rust, touch up any paint chips or damage and wax your car comprehensively, if you can, before the winter season starts.It's sensible to pressure wash the underside of your car regularly too, to blast off any salt and solution that could potentially corrode your car's underside. I have had all season tyres fitted to all my cars over the last 8 years and I DO find them effective in snow , I've never been let down yet . They are also remarkable in standing water at any time of year and as I don't hoon around tracks , I can't say I find the feel very different. What they do provide is a sense of security all year round. Wouldn't be without. Agreed, Michelin Cross Climates on my Volvo V90 have been excellent all rounders. Very good in the Snow, Excellent in low temps and very secure in the rain. In the summer they work just fine on a big car like mine. "silicone lubricant as well, and spraying it in to hinges..." not sure I'd use a silcone lubricant on a metal hinge. "Not a good idea"...Explain!. "not sure...", no -one is in the least bit surprised. TwIT, the w is silent, as you should be. I wonder where it came from? It's been around for years and years and tyres have changed over this time so I would expect it to change as summer tyres get better in the cold or winter tyres get better in the warmth. It must also depend on the road surface and it's condition as well as speed of the vehicle. As temperatures drop it you can note summers struggling. I drove Michelin Pilot Sport 3's on dry roads and at -9C it was very slippery. This was -9C though. Can anyone tell the difference at 6C or 8C? It sounds like marketing because it is. They make it sound as if you can hardly get home if it is 4C and you are on summers. I'm driving around on Crossclimates at the moment for the 3 days a year in SE England I might need them and because for A to B the rest of the year they are a summer tyre. We would be far better concentrating on making people use tyres that are good in the wet, ie have enough tread over a year though to be honest. Now I have swapped to Michelin Cross Climates and the grip is as good as winter tyres in the snow as to make no difference, so I just leave them on all year and no longer have the faff of swapping wheels twice a year. Last year up a step snow covered private drive Michelin Cross Climates took our Peugeot Traveller (2wd) van up with no problems. Friends with an XC90 4x4 couldn't get up without fitting their chains. Common sense at last! Now perhaps the motor industry myth that you need a 4x4 for winter driving can be laid to rest? I live in Norway, and have been a winter tyre convert for over a decade, I drive almost every day of the year usually in a front wheel drive car, despite having snow for about 5 months a year. Just think how many lives could be saved with some legistlation, and some cooperation from the motor industry. The problem is climate surely, its past mid december and we haven't had many days where the temperature has been as low or below 7 except during the night. So having winters fitted may actually be detrimental if if 7 degrees is correct. Crossclimates seem like the best bet for uk driving as unlike other all weather tires they are based on a summer tire and are actually legal as a winter tire in many countries due to their proven snow capabilities.